“There’s someone following us,” my sister said after the third shop we’d stopped at. “There’s always somebody following us. We’re beautiful people,” I mocked jokingly. I really hadn’t been paying attention. We had won the lottery a little over a year ago and I’d finally gotten used to people looking at me like I was familiar. “I’m serious, Montana.” She tried to point, but her hands were too full of bags with clothes and shoes in them. I turned my head slightly. My heart dropped into my chest. An electrical bolt sizzled through me. I normally wear dark lens sunglasses. I was glad I had them on now. They hid the emotions that I’m sure were flitting through my eyes. “No.” If I ignored him he might go away. My lips thinned. I thought I’d put a good amount of distance between us when I left the mountains, but his job was tracking down people, and other things, so I wasn’t surprised he’d found me. I had several reviews on Sterling before joining up with California Times Publishing. They have not integrated into my new and improved version of Sterling yet:) This being said here is a new review on Sterling. The old ones can be found under the trailer. Received this for my daughter and she said it was pretty good. I reviewed for writing aspects and adventure and it hit the mark. Will now read to a group of students. Fun, exciting book. I really enjoyed this novel. I didn’t realize it was a part of a series, but now I really want to read the others. 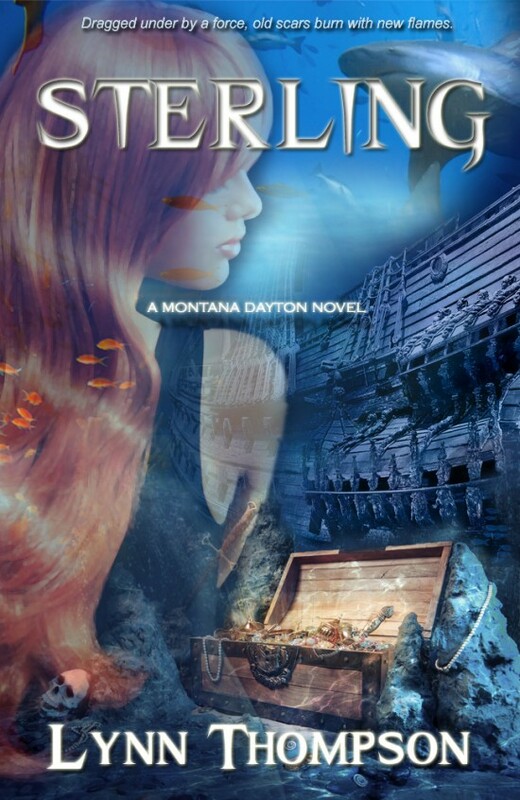 Set in Florida, “Sterling” continues the story of Montana Dayton, a strong-willed, gutsy heroine who enjoys a good adventure. Montana begins to wake up wearing elaborate, antique jewels and feeling exhausted every night until her friends step in to inquire deeper into her mysterious behavior. You’ll be surprised to find out who, or what, is causing Montana’s lapses in memory and newly acquired treasure! In Sterling, Lynn Thompson picks up where she left off in Blake. There’s a lot of excitement in this sequel and without having read the first one, I was caught up in the first few pages. There is a lot of sexual tension in Montana’s life with the requisite love triangle. The unexpected suspense comes with the paranormal element of demon possessed jewelry. Witches, spells, and an undead boyfriend trying to use Montana as a portal to return to life — these will keep you flipping through the pages to see who will win Montana’s heart.